Oh… I am so excited to have finished this quilt today! It’s our Portland Modern Quilt Guild meeting tonight, and I’ll be able to share this thing! I also wanted to write a quick post about this quilt just because when I speak in front of our group (150+? ), I get quite nervous. I never remember all that I want to say, and even if I do, my voice shakes so hard I’m amazed anyone can understand me. So… this quilt is called the Manipura quilt. Manipura is another name for the 3rd Chakra, also called the Solar Plexus Chakra. Here is more information about healing and the Chakra (or energy) system of the body, but generally speaking, it’s a way of moving energy toward healing… very much like the practice of Qi Gong. I have many chronic pains, along with liver and digestive issues, so I try to do self-care in as many ways as possible. Working with color and texture is extremely therapeutic for me! This yellow quilt has been a ‘safe-space’ to go for me during the last few weeks, with all the political crap happening here – I’ve been very thankful to have this escape. I used wool batting and a basic muslin back because I plan to sleep with this quilt, and it really feels awesome! 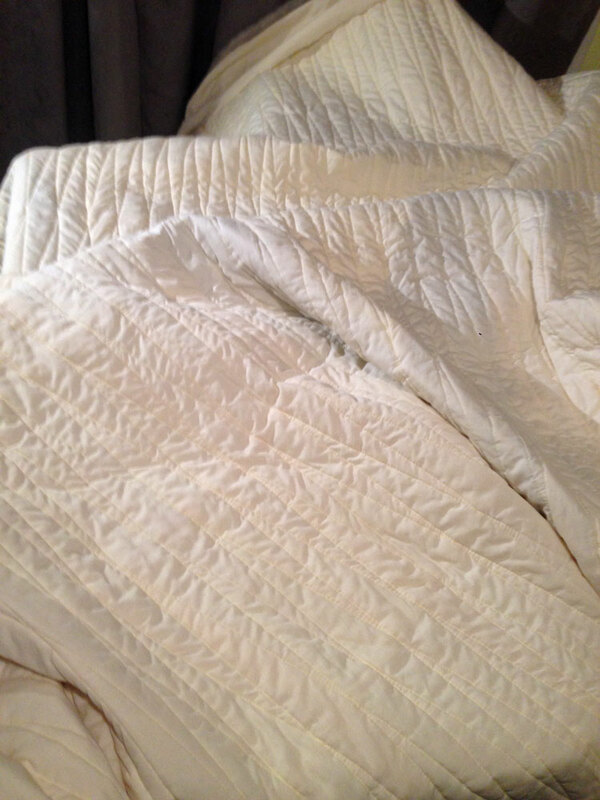 It’s part of the reason the quilting is very plain – just stitch in the ditch – I wanted it puffy and soft for sleeping with. Sometimes: Less is More. I dreamt about making yellow quilts for days *nights* before designing this one – so it seems like it was important, even if I don’t understand why. After dreaming about it, I was inspired to study more about the 3rd Chakra. 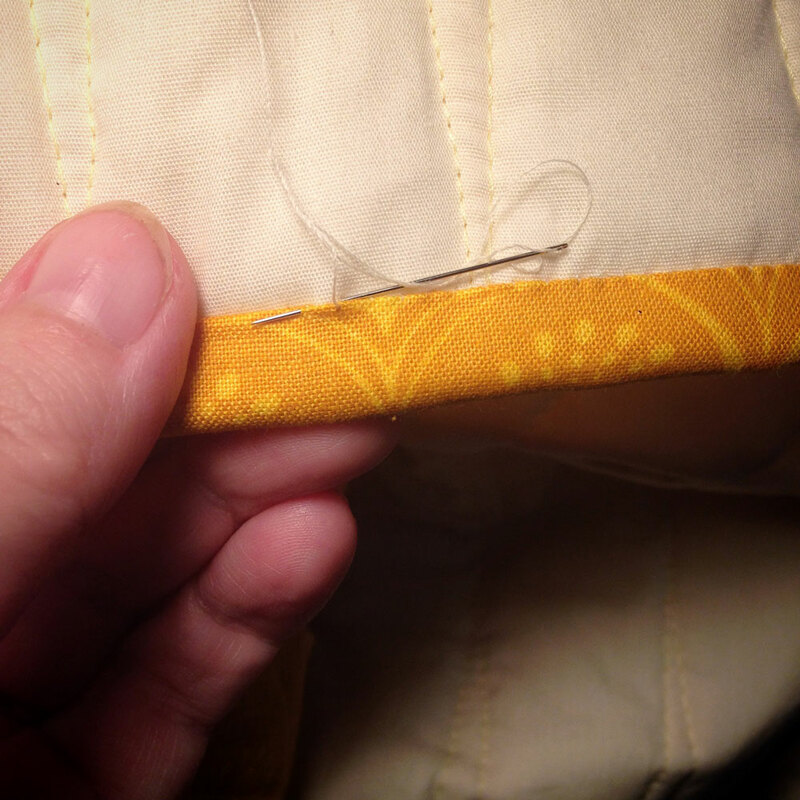 Turns out, it’s all about self-worth… which is fitting for a quilter, and especially me. For this quilt, I kept track of every minute I stitched. It took 91 hours and 4 minutes to cut fabric and sew it together, as well as baste, quilt, and bind it. I did not include any time for design, fabric choices or figuring out how to sew this pattern together. (It’s the first time I made it, and it’s my own pattern). It’s a valuable quilt. 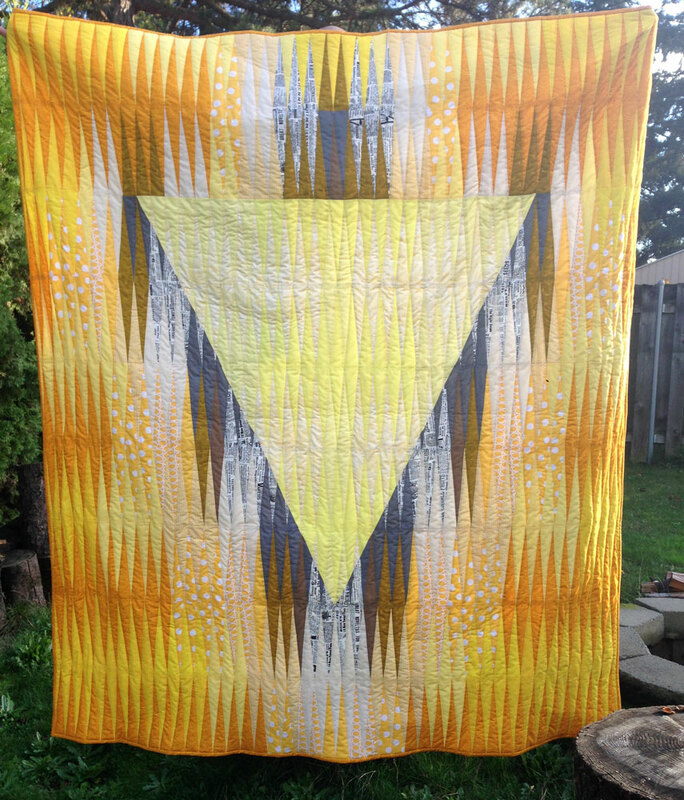 More so to me personally – I put so much positive energy into this quilt while sewing, it’s totally charged! For more about why I made this quilt, you can read all the posts about it here. Suffice to say, I’m thrilled it’s done, but a little sad too – I need another project STAT! Gail, I wish I could have been there tonight to see your quilt. It is such a wonderful accomplishment. Kudos to you! I appreciate all of the symbolism and all of the heart and soul that you put into this quilt. You are an amazing woman!! Sorry to miss you at the meeting, there were so many great quilts this month… I love our group. Thanks for all your kind words and encouragement Dawn! WOW. I’d say more but WOW covers pretty much everything. Congratulations for such an amazing quilt that has such meaning for you. WOW. Previous PostPrevious Next Step… Quilting!